Why do Broken Capillaries Occur? There are a number of factors that can lead to broken capillaries; the medical term for which is telangiectasia rosacea. Just beneath our skin there are large numbers of tiny, very delicate capillaries. Damage to these fragile vessels may cause them to dilate and “break”. Once broken, the capillaries remain that way and are unable to repair themselves or constrict back to their normal thickness. This leads to the visible appearance of red, bruise-like spots and lines on the face and other areas of the body. Causes of this include a genetic predisposition, sun damage, rosacea, facial injuries, excessive facial scrubbing, overuse of cortisone creams, certain autoimmune diseases and excessive alcohol intake. This occurrence can also become more noticeable as we age, with the skin becoming thinner making the underlying vessels more visible. At Vice Aesthetics in Perth, we recommend treating the vessels with the Candela Vbeam Perfecta® sooner rather than later, as the more dilated and numerous they are, the more treatments will be required to achieve optimal results. If you would like to find out more about our broken capillary treatments, please do not hestitate to contact our friendly team in Perth. Poikiloderma of Civatte was first described in 1923 by a French dermatologist and is caused by a combination of skin thinning, broken capillaries and pigmentation. 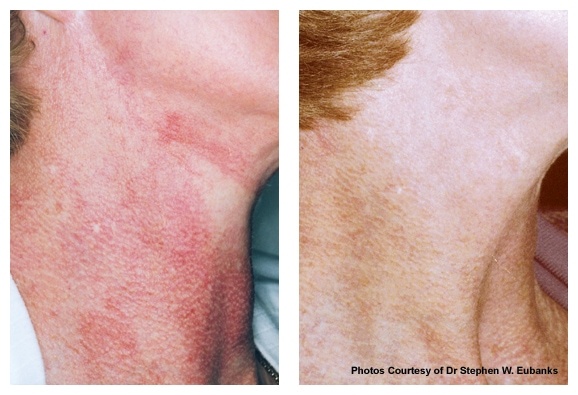 Poikiloderma of Civatte is the result of chronic sun damage and affects both men and women with excessive sun exposure. 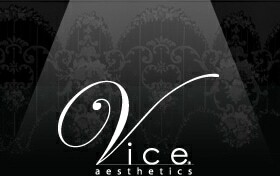 It is often found on the cheeks, the sides of the neck and may extend down to the chest and/or décolletage. Most patients require 2 to 3 treatments with the Candela Vbeam Perfecta® and have a greater than 75% improvement in the appearance of their condition.